Visiting Portland, Oregon this summer? Here are 50 Things to Do in Portland, Oregon with Kids During the Summer! Living in or visiting Portland, Oregon this summer? Summer is the absolute perfect time to visit Portland! I’ve lived in the Portland, Oregon area for nearly 38 of my 43 years. I know this city and the surrounding suburbs, country, beaches, vineyards, and mountains, nearly inside and out. And yet, there is always something new to explore. I LOVE living in the Pacific Northwest, and have truly enjoyed raising my kids (now ages 10 and 13) here. Portland has so much to offer different types of travelers of all ages, who have all different types of interests. Whether you love the mountains, the beaches, the lakes, the city, or the country – you’ll find it all within short driving distances from city center. Here’s a quick list of just a few of our family’s favorites: 50 Things to Do in Portland, Oregon with Kids During the Summer! There are a ton of articles that focus on babies and toddlers, so I’m including a lot of fun summer activities in Portland for families with older kids (like mine), too. Walk or bike across Tilikum Crossing. It’s the first bridge of its kind in the US, only open to pedestrians, cyclists, and public transportation! Visit the Portland Public Library. Get your zen on at the Japanese Garden. Pick berries at one of the many U-Pick berry farms around the city and surrounding areas. Find tranquility within the city at the Lan Su Chinese Garden. Play at one of the many splashpads across the city and surrounding areas (Beaverton and Happy Valley are our family faves). Engage their brains and all senses at the Oregon Museum of Science & Industry, OMSI. In addition to the regular activities and exhibits, the IMAX theater has regular and traveling shows, and the visiting exhibition is always something that is exciting to kids and adults alike! Bulk up your home library collection with a visit to Powell’s Books, the country’s largest independent bookstore. Enjoy good eats (while you cool off with a local craft beer) at one of the city’s many family-friendly breweries. Our family favorites: Wayfinder Beer, 10 Barrel Brewing, Hopworks Urban Brewery (HUB), Bridgeport Brewing, Sasquatch Brewing, Thirsty Lion Pub & Grill, and Migration Brewing. Rent canoes or kayaks and spend the day adventuring on one of many Portland-area rivers, including the Willamette River, and the Tualatin River. Embark upon the 4T Trail: Trail, Tram, Trolley, and Train. Take a soothing forest bath and hike in one of Portland’s many nature parks. Our family favorites: Tryon Creek State Park, Cooper Mountain Park, and Forest Park. Satisfy your sweet tooth with artisan ice cream. Our family faves: Ruby Jewel, WizBang Bar. 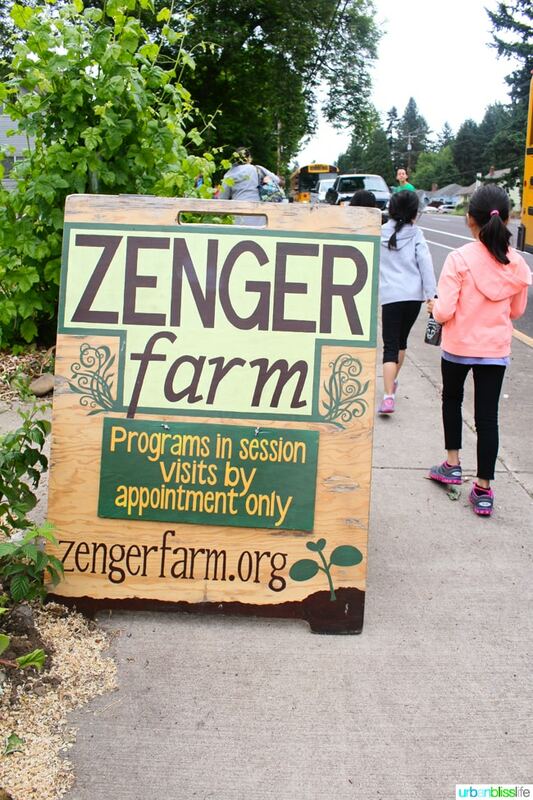 Pack a picnic and catch one of the many fun, educational summer programs at the Oregon Zoo. Catch one of the free Movies in the Park put on at different public Portland parks throughout the summer. Chase waterfalls. 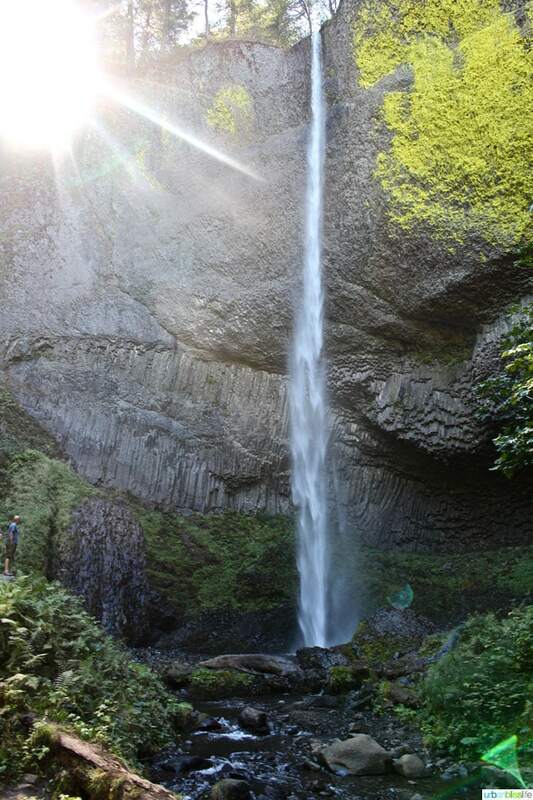 Our favorites that are within an hour’s drive: Latourell Falls and Silver Falls State Park. Go fishing. There are many places you can fish with a license but for a day of fun without the formalities (and a 100% chance of catching fish), check out Sandy Trout Farm. Explore the incredible World Forestry Center. Play mini golf, arcades, and ride the amusement park rides at Oaks Park. Expand your child’s cultural palette (and maybe yours too?). Dine at kid-friendly, fun, non-intimidating restaurants like Bollywood Theater, Kachka, or Boke Bowl. Take a drive up to see the best view of the Columbia River Gorge from the Vista House. Geek out on classic arcade games (all ages until 4:30pm) at Ground Kontrol. Cheer on the super awesome and always amazing Portland Thorns or the Portland Timbers. Play chess with the cool life-size chess set in Director Park. Sign up for Kids Bowl Free and enjoy air conditioned, indoor bowling fun at your neighborhood bowling center. Visit a U-Pick lavender farm. Our fave: Mountainside Lavender Farm. Soak up the City of Roses at its heart: the Portland International Test Rose Garden. Walk around downtown Portland. You don’t need an agenda. It’s just fun to explore downtown! But, you could include lunch in “Portland’s Living Room,” Pioneer Square – or attend one of the free Summer Concerts in the Square. Visit what is reportedly The World’s Smallest Park, Mill Ends Park. Explore the many Westside farms and feed chickens, llamas, and goats. Our family lives on the westside, and a decade ago we started doing what I coined as Farm Fresh Fridays. Our family favorites include Baggenstos farm, Smith Berry Barn, Lolich Farms, Bella Organic Farm, and Oregon Heritage Farm. Explore the historic Pittock Mansion. Go for an educational and easy nature walk in the Tualatin Wildlife Refuge. Get crafty with one of Portland’s many arts & crafts studios, including SCRAP, My Masterpiece Art Studio, and Mimosa Studios. Check out any of the Portland food cart pods, including the ones downtown, in North Portland, and in SE Portland. Check out one of Portland’s independent toy stores. Our faves: Finnegan’s Toys and Piccolo Mondo. Pack a picnic and enjoy the views at one of Oregon’s many family-friendly wineries. Some of our family faves include Hawks View Cellars, Hazelfern Cellars, Stoller Family Estate, Keeler Estate, and Ponzi Vineyards. Load up on fresh produce, meet local farmers and food artisans, enjoy a meal from a local food cart, and enjoy live music and entertainment at one of the many public farmers markets around the city. Attend one of the many summer festivals in downtown Portland. Some family fun faves include the Waterfront Blues Festival, Mississippi Street Fair, Division/Clinton Street Fair, Bite of Oregon. Check out one of the many free activities at local book stores, such as Green Bean Books. This adorable shop in NE Portland offers storytimes, arts & crafts events, opportunities for your kids to read to dogs, and more! If you have babies or toddlers, explore the Portland Children’s Museum. Cool off with some froyo. One of our faves: Eb & Bean. Splurge on a fancy night out with the kids. Enjoy dinner at Nel Centro, then catch a show at the Keller Auditorium. Have a picnic in one of Portland’s many public parks. One of our faves: Laurelhurst Park. Do your own research to find out: who makes the Best Donuts in Portland? Our family faves: Blue Star Donuts and Coco Donuts. Walk to the top of Portland’s dormant volcano, Mt. Tabor, and enjoy the views of the city, then have a picnic, play in one of playground areas, or allow your dog to make new dog friends in one of the off-leash areas. Finally, do the touristy thing and venture out to Multnomah Falls. During the summer, every day is busy and crowded. However, you’re best bet is to go mid-week, and go very early in the morning, or just before sunset time. There you have it: 50 Things to Do in Portland, Oregon with Kids During Summer! Of course, this is just a small start. There are SO MANY more things to do in Portland, Oregon with kids during the summer! I could add 50 more, but I wanted to give you a small taste of what Portland has to offer families. I hope this list helps you – whether you live in the city and are looking for things to do, or whether you are planning a trip out to visit Portland during the summer. Which of these activities would appeal to your family the most? All photos on this website, unless otherwise stated, are ©Urban Bliss Life. All rights reserved. I have not gotten to Portland yet but when I do I will certainly be coming back to this list. i hope you get to visit here someday, Elise!! Wow Marlynn – What a great list!!! Fantastic ideas for the warmer summer months and all the beautiful places that Oregon has to offer! isn’t it a good place? thanks Erin! Portland is amazing – I’m hoping to get there this summer! SUCH an awesome list! I’m saving this for later. I’m really excited to rent a SUP at the river with the family. That’s been something I wanted to do for ages, and I just found out that George Rogers Park in Lake Oswego rents them right on the beach there! I live in portland oregon and the BEST doughnuts are from the Voodoo Doughnuts.After eating there, all the other shops aren’t even close to as good. I never get doughnuts from anywhere.